The speed demon within is telling, no coaxing you to purchase that new 2017 Yamaha YZF-R1. You have been waiting months to become a blue blur on the asphalt, and have made plans to turn the interstate in your own version of the Autobahn. Prior to this, the only wheels you had was that crappy Saab your parents gave you for graduation. This two-wheeled behemoth is yours all that over time has finally paid off. Your checklist is almost complete; the only thing left to do is call the dealer for your quote. One of, if not the most important things you need to do is figure out where you will get your first-time bike insurance. This insurance is different from the plan you may have with your car. This means you will need to pay a separate cost for your bike. There are some policies that allow you to combine your car and motorcycle together. You should spend some time researching the right plan for you. When you are looking for first-time bike insurance, there are some factors that you should be aware of, such as your age. Just like with cars, younger drivers and riders alike, tend to have higher insurance cost. Statistically speaking younger riders take more chances while on their bikes. When you look at things from a risk perspective the higher cost fits. An older rider is less likely to do a wheelie on the interstate going 65 miles per hour. Someone who is 23-years-old will always pay more than the grandad on the old Indian bike. The older rider could end up paying only $250 a month; while the younger driver could shell out $450 depending on the state you are located. Depending on where you live plays a vital role to the cost of your insurance, as well. For first-time riders living in densely populated urban areas, your monthly premium could be higher than if you were living in a rural area. You also need to take the crime rate into consideration. If you live in an area that has a lot of violence most likely you will have to pay a little extra for your first-time bike insurance. So, what can first-time bike insurance buyers do? 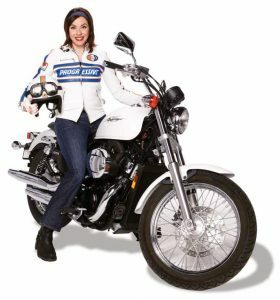 No one wants to spend an arm and a leg for motorcycle insurance on top of everything you already paid for. 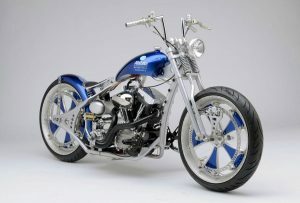 Depending on the type of bike and all the additional costs you could spend enough to buy a used car. The first thing you want to do a thoroughly go through each of your potential insurance plans and compare them to each other. This seems like a no-brainer, but many people miss out on features that could reduce their monthly premium. 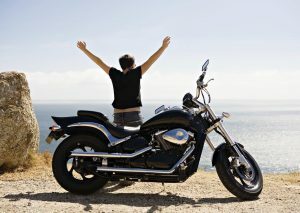 For example, since you are a getting first-time bike insurance, you may be eligible for some perks. Some companies will give you a month free or other incentives. You may have to pay a higher premium, as well. Research is key to getting your first-time bike insurance.